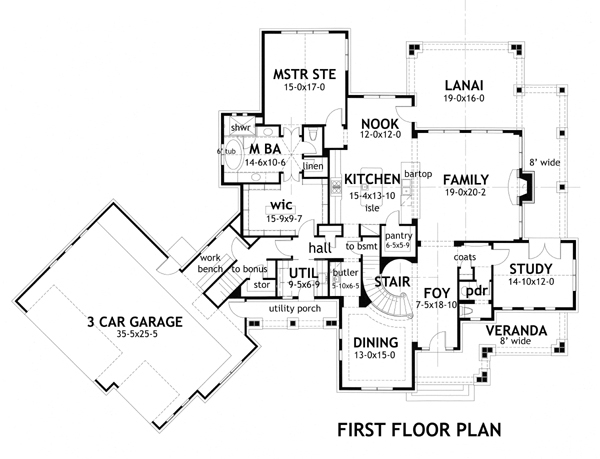 PLAN DESCRIPTION Imagine traditional architecture wrapped around modern day needs for efficiency and function. A cozy front porch provides entry into a spacious foyer which is flanked by a circular stair and formal dining area. A butler's pantry assists a large gourmet kitchen which includes a walk-in pantry, commercial range, built-in refrigerator and large cooking island. 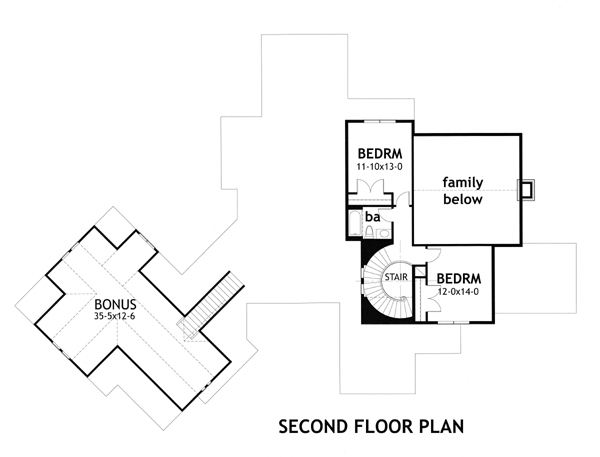 The family room provides views to the rear and right through a wraparound porch. The lanai makes a great place to sit and enjoy the pool or bbq. A convenient yet private master suite also shares views to the rear and the master bath boasts a very large WIC as well as oversized shower with seat. The large linen closet is one of a number of great storage areas throughout this home. The utility room is located for maximum efficiency of the main occupants while allowing access to from other parts of the home and providing exterior access for muddy days. The bonus room is isolated for noise reduction and will make a great room for entertaining or even an additional bedroom suite.